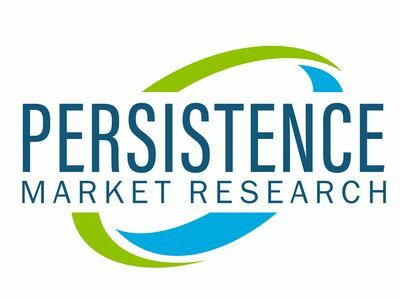 Persistence Market Research (PMR) delivers key insights and views on the global fresh yeast market in its upcoming outlook titled, 'Fresh Yeast Market: Global Industry Analysis 2013-2017 and Forecast 2018-2026'. Fresh yeast market, in term of value, is projected to grow a pattern of high growth with a CAGR of 6.0% over the forecast period, owing to various factors, regarding which, PMR offers comprehensive insights in detail. The fresh yeast market is segmented on the basis of nature, form, end use, distribution channel, and by regional segment. On analyzing the fresh yeast market on a global perspective by nature segment that includes organic and conventional fresh yeast, the demand for organic fresh yeast is increasing at robust growth rate with promising CAGR of 6.2% over the forecast period. The key driver behind the increasing demand for organic fresh yeast is owing to a rise in the demand for organic products as consumers are gradually adopting organic products into their regular diet. Currently, the majority of demand for organic fresh yeast accounts from North America and Western European countries. Though organic yeast accounts for a lower value share as compared to conventional yeast products, over the coming years, organic yeast is expected to gain traction. On the basis of form, global fresh yeasts market is segmented into powder and liquid form and by end use segment, fresh yeasts market is segmented into food, animal feed and pet food, and beverages segment. Furthermore, the food segment is sub-segmented into savory and snacks, soups and sauces, dairy products, dietary supplements, bakery and confectionery, and meat and poultry products. Beverages segment is also sub-segmented into alcoholic and non-alcoholic beverages. Among the end use segment, bakery and confectionery segment attributed to the majority of market share on a volume basis as fresh yeast is used on a large scale in the production of baked goods and bread. The rise in the consumption of baked good has been indirectly triggering the demand for the yeast market in the global market. On the other side, the demand for fresh yeasts is increasing at a higher pace in alcoholic beverages such as beer, whiskey, wine, rum, and other alcoholic beverages. At the distribution level, global fresh yeasts market is segmented into business to business and business to consumer distribution channel segment. Furthermore, at a business to consumer segment, fresh yeasts market is sub-segmented into hypermarket/supermarket, convenience store, specialty store, e-commerce channel, and other retail formats of distribution. On the basis of a distribution channel, in many countries such as Japan, China, Brazil, and others, it is noted that these countries have weak distribution networks for the distribution of yeast products. Manufacturers are using selective modes of distribution channels in order to reach out to consumers and due to which the demand for fresh yeasts is less at the business to consumer point of sale. At the regional level, predominantly fresh yeast has high consumption in European market followed by North America. This is largely attributed to enormous consumption of fresh yeasts in bakery, confectionery, soups, sauces, savory and snacks. By regional level, the market of fresh yeast segment is categorized into North America, Latin America, Europe, Asia Pacific, and the Middle East and Africa. Detailed competitive landscape for the Fresh Yeast' market players is also included in the scope of the report, to assess recent key developments and key strategies adopted by companies offering fresh yeasts space. Some of the key players profiled in the report includes are Oriental Yeast Co., ltd., Lallemand Inc., UNIFERM GmbH & Co. KG, Imperial Yeast, AB Mauri Ltd., Kerry Group PLC, Angel Yeast Co., Ltd., Leiber GmbH, DCL Yeast Ltd., Koninklijke DSM N.V., Lesaffre Group, Renaissance BioScience Corp., Chr. Hansen Holding A/S, Laffort SA, and others.